Phosphorus is both a vital nutrient upon which global agriculture depends and a devastating pollutant of our planet’s freshwater resources. The Sustainable Phosphorus Alliance is committed to managing this finite resource sustainably, and we’re inspiring collective action towards better phosphorus management through the launch this April of our Phosphorus Sustainability Challenge. wastes—back into the food system. How will the Challenge work? Organizations will publically commit to reduce their collective phosphorus footprint. In return, they will receive public recognition for their leadership, see how their own efforts contribute to larger scale impacts, and network with like-minded organizations through sector-specific action networks. Commitments must be SMART: Specific in what they set out to achieve, Measurable on an annual basis, Ambitious in their targets, Relevant to Challenge goals, and Time-bound. Applicants will need to make new commitments or state existing commitments that have yet to be achieved or publicized, and all committments will have to go beyond what is required for regulatory compliance. Who can participate? Any government at any jurisdictional level and any public or private institution or company of any size. The platform is being designed to allow everyone from transnational corporations to small, local groups to make meaningful contributions. We need all hands on deck. How is it funded? The Challenge development is currently funded by the Sustainable Phosphorus Alliance but we seek foundational support. Please contact us if your organization would like to support our effort to keep our waters blue and our fields green. How will achievement be verified? Participants who obtain third-party or second-party verification for their progress will be recognized as such on the platform upon submitting proof of verification. Otherwise, there is no verification required but commitments will be in the public record. Any verified misrepresentation of prior achievement will bar applicants from further participation in the Challenge. The Challenge will be launched at our Phosphorus Forum on April 5, 2019. Please contact us for more details. The Phosphorus Field-to-Watershed (P-F2W) Modeling Workshop brought 16 researchers and policy experts to Columbus, Ohio, on August 23rd and 24th. The group discussed soil test phosphorus measurements and their relationship to fertilizer application recommendations, status and trends of edge-of-field and in-stream water quality observations for the Maumee River basin (a tributary of Lake Erie and a major contributor of P loadings to the lake), and existing models to simulate soil phosphorus and their application in the Maumee basin. Chad Penn (USDA-ARS) discussed how soil test phosphorus measurements are used to guide fertilizer application rates. Dr. Penn suggested that these recommendations provide good “ball-park” application recommendations but that they may be better tailored to the soil texture, the crop being grown, and other site conditions. He suggested that these improvements should improve agricultural efficiency while decreasing P loss from fields. Laura Johnson (Heidelberg University) and Kevin King (USDA-ARS) presented their efforts to assess phosphorus loadings to Lake Erie using in-stream and edge-of-field monitoring networks, respectively. 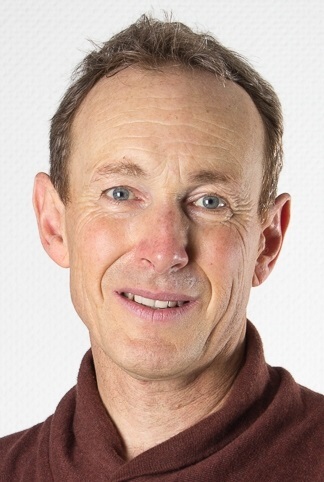 In summarizing long-term, in-stream observational data, Dr. Johnson showed that current, flow-weighted, mean dissolved P concentrations are consistent with historical trends – implying that recent efforts to decrease loadings to the Lake have not been successful, at least to this point in time. Dr. Johnson also suggested that the continuing problem may be partly attributed to increased soil P stratification (i.e. higher P concentrations at the top with lower concentration at greater depths) as a consequence of reduced tillage. Dr. King then described his network of edge-of-field sites that measure P loss from fields in surface and tile flow and noted that most of the monitored fields do not show excessive quantities of P export. Dr. King additionally discussed the impact of various best management practices as applied to these sites, reviewing the relative success of each. 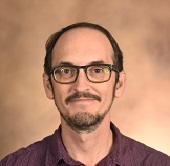 Peter Vadas (USDA-ARS) and Margaret Kalcic (Ohio State University) discussed their work to simulate soil phosphorus dynamics using empirical and process-based models. Dr. Vadas reviewed the evolution of models that simulate soil phosphorus dynamics in agricultural systems – beginning with the EPIC model, then moving to the APEX, SWAT and APLE models. He described the individual “pools” of phosphorus (i.e., labile, active and stabile mineral phosphorus, and organic phosphorus) and emphasized that the labile mineral pool can be initialized using common soil test phosphorus measurements. He then outlined previous work to validate SWAT’s phosphorus routines and introduced his continuing work with the APLE model. Dr. Kalcic provided an overview of the SWAT model and recent applications of that model in the Maumee watershed. She then introduced a new iteration of the model – wherein the most basic spatial unit of simulation approximates the size of agricultural fields – and her ongoing efforts to validate SWAT’s simulation of soil phosphorus dynamics, including phosphorus export through surface and tile flow. She also discussed several challenges in simulating phosphorus in the Maumee – namely problems with calibration when initializing labile P at higher values and with the insensitivity of modeled crop growth to soil phosphorus levels. 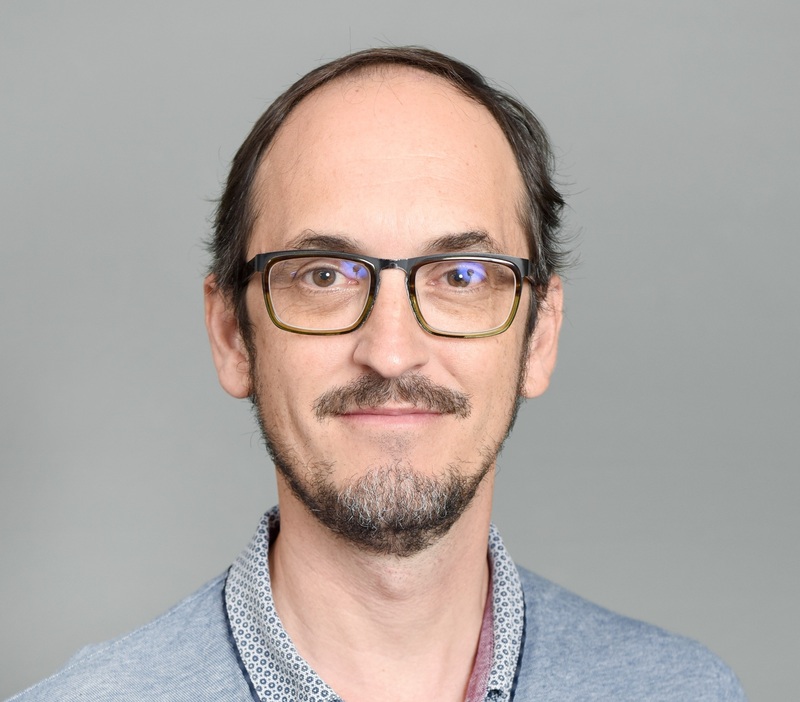 Finally, Tom Zimnicki provided a summary of a workshop hosted by the Cooperative Institute for Great Lakes Research at the University of Michigan, Ann Arbor, in July 2018. The workshop hosted a number of researchers and sought to improve hydrologic model representation of soil health as impacted by agricultural best management practices. Following presentations, the group plotted a path forward. Three specific areas of investigation were identified for additional discussion: identifying whether legacy or incidental losses were the primary sources of P loadings to Lake Erie; coupling fertilizer production, particularly from recycled organics, and watershed hydrologic models; and identifying “hotspots” (i.e. locations of elevated P export) using hydrologic models. The meeting was concluded by discussing plans to collaborate in investigation of these specific topics. The workshop was organised by the Sustainable Phosphorus Alliance. The workshop agenda and presentation slidedecks are available for download in PDF format in the sidebar to the event listing on this page. In addition, you can view video of these talks on our YouTube channel. 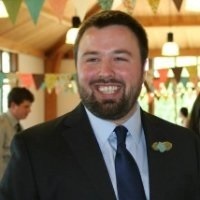 Grey Evenson is a postdoctoral fellow in the Department of Food, Agricultural and Biological Engineering at Ohio State University. 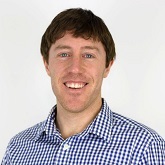 Grey is a watershed scientist with an interest in applying models to improve environmental outcomes. Opinions expressed here do not necessarily reflect those of the Sustainable Phosphorus Alliance. The 3rd European Sustainable Phosphorus Conference (ESPC3) brought together 300 companies, policy makers and experts in Helsinki, June 2018. New EU policies announced include the obligation for farmers to implement nutrient budgets, the new EU Fertilisers Regulation and the draft Water Reuse Regulation. The ambitious new Fertilisers Regulation, currently under finalisation and part of the EU Circular Economy package, will fix quality and safety criteria for placing on the market recycled nutrient products including composts, digestates, organic fertilisers and soil improvers, recovered phosphate salts, biochars and ash-based products. The Water Use Regulation will fix quality and safety criteria for use of treated sewage discharge water for agricultural irrigation / fertigation. Companies presented success stories showing that nutrient recycling is already operational through different routes including animal by-product incineration ashes, sewage biosolids, struvite, spent fire extinguisher chemical recycling, forestry and bio-energy by-products, gypsum and nitrogen recovery from digestate. Discussions confirmed the need for data, risk assessment science and dialogue around acceptance of recycled nutrient materials, both organic materials and technical recovered nutrients. The positive marketing message of nutrient and organic carbon recycling needs to be developed, alongside labelling and product traceability, in order to support acceptance of nutrient recycling in food and beverage industry and supermarket purchasing and sustainability criteria. Despite considerable investments already made in waste water treatment, phosphorus continues to be one of the biggest challenges to water quality across Europe. Tighter sewage works phosphorus discharge consents are expected. New technologies combining phosphorus removal with recovery for recycling are being proposed. Approaches to remove nutrients from water bodies and sediments will be needed to restore eutrophication impacted waters, such as the Baltic Sea, with development of both restoration technologies and biological systems (such as harvesting of zooplankton consuming fish). Again, success will depend on product commercialisation, such as developing new recipes for such often not consumed fish. Opinions expressed here do not necessarily reflect those of the Sustainable Phosphorus Alliance. Participation in a task force is one of the opportunities for our partners to contribute to the Sustainable Phosphorus Alliance. One example is our current Biosolids and Manure Task Force, which is undertaking a comparative analysis of the federal and state regulations governing the application of biosolids and manure in the US, and Canadian provincial regulations in British Columbia, Ontario, and Quebec. Member organizations of the Sustainable Phosphorus Alliance and other invitees from industry and government are contributing to the task force by providing oversight and feedback. Thank you to our Oversight Board members representing Kieser & Associates, Lystek International, Metropolitan Water Reclamation District of Greater Chicago, Mid-Atlantic Biosolids, National Association of Clean Water Agencies, National Milk Producers Federation, NEFCO, North East Biosolids & Residuals Association, Smithfield Foods, Synagro, US EPA, and Veolia. If you would like to support the work of the Sustainable Phosphorus Alliance, please contact us about joining as a member. We still land apply treated human waste (a.k.a. biosolids) to farms, but much of it is still sent to the city dump—45% according to a 2007 report from NEBRA—thereby wasting our phosphorus resources. Annually, we generate about 350,000 tons of phosphorus as biosolids in the US alone (c.f. Chris Peot’s Phosphorus Forum 2017 talk), so we estimate that about 157,500 tons of phosphorus is lost to landfills. Land application of biosolids from wastewater, as well as manure from animal feeding operations and composted or digested biomass from farms and cities, is an important means of providing nutrients to crops and restoring soil carbon while diverting wastes from landfills. However, it can also result in over-application of nutrients, especially phosphorus, which can lead to adverse impacts on water quality. Most notably, the US produces upwards of 1.9 million tonnes of phosphorus in animal manure annually (US EPA, 2007) that is spread across more and more geographically constrained areas as consolidation of animal agriculture into concentrated animal feed operations (CAFOs) continues. Manure, especially wet, is heavy and expensive to transport, and that tempts its over-application. Yet over-applied phosphorus is carried by rains and other mechanisms to nearby waterways, resulting in harmful algal blooms and dead zones. If only we could teleport manure. If there’s a global theme in phosphorus management, it’s resource misallocation. We have too much in some regions, too little in others, and too much wasted throughout the value chain. We want to encourage more efficient use of phosphorus, and we want to encourage its recycling in the food system through the sustainable land application of biosolids and manure, for example. Recognizing this, the Sustainable Phosphorus Alliance has been asking industry and regulatory stakeholders to help us vet project proposals on sustainable use of organic residuals for the better part of a year, and we thank those of you who’ve provided feedback on those proposals. We are pleased to announce that we have decided to conduct a comparative landscape analysis of the regulations and policies affecting land application of biosolids and manure at the US federal and state levels and, resources permitting, at the Canadian federal and provincial levels. 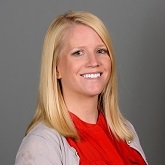 The work will be led by our own Dr. Rebecca Muenich with the help of some graduate student support. Application of both biosolids and manure in the US is regulated under the Clean Water Act, but each is regulated under different sections. Namely, biosolids are regulated under 40 CFR Part 503, “Standards for the Use or Disposal of Sewage Sludge” and manure generated at CAFOs is regulated under the National Pollutant Discharge Elimination System. Much of the manure that is generated is not produced at CAFOs and isn’t subject to NPDES permitting. How regulations on both biosolids and manure management play out at state and regional levels varies. For example, the state of Michigan does not allow manure application on soils with greater than 150 ppm of P, whereas Indiana allows application on soils up to 200 ppm of P. Likewise, states treat biosolids variably. For example, Pennsylvania and Maryland permit use of the water extractable phosphorus test to determine a site-specific application rates, but other states regulate based on total phosphorus. What consequences do these disparate treatments have for application of biosolids and manure and how might we develop policies that increase sustainable land application? The first step to addressing this question is understanding the regulatory landscape, and that’s precisely the goal of our work. We’ll be developing a white paper and webinar over the coming months on this topic. More exciting to me is our development of an ArcGIS Story Map that will allow users to navigate these regulations geographically through a web interface. This dataset can then serve as a scaffold upon which we can layer other relevant datasets, including such things as locations of CAFOs and wastewater utilties, soil test P levels, known areas of land application, etc. We hope this becomes a great tool for managers and policy makers to develop more sustainable scenarios. To ensure relevancy and leverage past work on this topic, we’re reaching out to industry and regulatory partners to join an oversight board for the project. This board will provide feedback on a draft of our white paper and on the first rollout of the ArcGIS tool. If you think that your organization can lend expertise or other valuable resources, please contact me. We expect this first phase of the project to take about nine months to complete. And if you would like to support our work more broadly, please join us as members or donate now. Precision agriculture, the practice of employing monitoring systems, software, and equipment to modify farming inputs in a productive and efficient manner, is applied everywhere in modern agricultural systems, except when it comes to a majority of manure applications. Compared to inorganic fertilizer sources that have clearly documented, consistent compositions, manure and its associated nutrient values are not well appreciated and are even treated as waste by many farms in the US. This is especially true for large farms with a lot of liquid manure, including dairy and swine operations. Research has shown the potential value of these recycled fertilizer products (Schröder 2004; Choudhary et al. 1996), so it is perhaps surprising that, in many places in the US, manure is treated as waste product and contaminant source rather than a nutritional opportunity. Understanding manure composition is key to addressing this problem. This is because variable composition has been identified as a barrier to farmers’ distribution or sales of their manure to other farms, especially non-livestock farms (Battel and Krueger 2005). There are many references available to help calculate the nutrient content of manures, including the American Society for Agricultural and Biological Engineer’s “Manure Production and Characteristics” Technical standard ASAE D384.2, generalized table values available in many online extension publications (University of Maryland Extension; Ohio State Extension), and in permit information for regulated facilities. However, the micro- and macronutrient content of recycled fertilizers can vary dramatically by source and even over time. For manure specifically, it is well known that factors such as the feed an animal eats, the age, size, and species of animal, and the method of manure storage can all affect the nutrient content. Composition may also be affected by such practices as the addition of compost or water from other parts of the farm. In addition, the variation in methods for calculating nutrient content alone creates discrepancies. In my work to understand manure application practices in the Lake Erie basin with colleagues at Ohio State University and the University of Michigan, we compared lab-measured nitrogen and phosphorus contents of manure to estimated “book values” for large, regulated animal operations where data were available. This comparison supported what others have found: that using book values alone may not be enough to understand the nutrient composition of excreted and/or stored manure. This variability can have important implications for farm economics as well as environmental management. Putting on too little or too much nutrients can put a farm at risk. Therefore, lab testing of manure nutrient content should be a preferred source for composition information. We demonstrated on a small scale with very detailed data that there is a great potential to redistribute (i.e. recycle) manure by applying it to lands that have lower soil nutrient contents. It is often the case that cropland currently receiving manure applications is not in need of more, as a history of consistent manure applications can lead to a buildup of nutrients in the soil (Sharpley et al. 2013). Yet redistributing and applying manure at appropriate rates will require improvements in measuring and conveying the nutrient content of manure products to potential end users. More frequent, replicated samples and more nuanced reporting are called for. In terms of reporting, manure composition tests may not break down the phosphorus in the sample into organic and inorganic forms, though they may indicate how much is available in the first year. Giving farmers a better idea of the total amount of phosphorus and its speciation (to assess bioavailability) can improve nutrient management. More testing is needed too. While testing manure compositions is required for large, regulated operations on typically an annual basis, it is not a widespread technique used in manure management, at least in the Lake Erie Basin states. On small farms with fewer resources, manure composition testing (~$30/sample) may not seem economically beneficial at first glance. However, if manure nutrients can contribute to crop nutrient needs, overall fertilizer additions may be decreased, saving money while decreasing the risk of nutrient pollution. Improved and more frequent testing and communication of manure compositions is key in achieving the “Right rate” in 4R Nutrient Stewardship. Conventional wastewater treatment facilities have evolved to become extremely proficient in the practice of sequestering nutrients, particularly phosphorus and nitrogen, present within their incoming municipal and industrial waste streams. Many facilities, and perhaps the case could be made to suggest “most” of the 16,000+ treatment plants in the United States, employ a form of chemical precipitation that serves to bind dissolved phosphorus to a metal salt or rare earth elements (e.g. – ferric chloride, alum or cerium chloride). This precipitations segregates the phosphorus such that it travels with the solids portion of the treatment process and thereby delivers to receiving waters a final liquid effluent that is low in phosphorus (or at least within a mandated tolerance for the nutrient). The common practice of dosing an incoming waste stream with metal salts does have its disadvantages, however. In many cases, it can be rather costly just from a chemical consumption perspective, which is driven by the amount of daily incoming total phosphorus that needs to be isolated and removed from the liquid stream. The addition of metal salts also adds to the facility’s overall sludge content, creating more solids material that must be treated, digested, dewatered and ultimately disposed, and compounding the operational cost drivers that have to be controlled and managed. Finally, from an environmental standpoint, it simply cannot be beneficial long-term to landfill or even land apply biosolids that are artificially saturated with metals (and phosphorus), so beyond the daily cost of operations, there may very well prove to be a heavy cost to the environment. Fortunately, many treatment facilities have recognized the operational and environmental costs associated with dosing metal salts and are employing alternatives. One emerging technology for managing incoming phosphorus, which has gained wide acceptance especially by progressive treatment plant operators, is bio-P. Here, phosphorus is captured and removed from the incoming liquid stream biologically by phosphorus accumulating organisms (PAOs). While bio-P can be very efficient at removing phosphorus and isolating it to the solids stream, the PAOs tend to release the nutrient from within their cell walls during and after anaerobic digestion. Unfortunately, this released phosphorus typically follows the liquid portion of the solid stream through dewatering, producing a high-P liquid side stream that is nearly always routed back to the plant’s head works, and must ultimately be re-treated again and again by the bio-P process. This side stream is commonly referred to as a “recycle stream,” and in many cases can exhibit phosphorus levels as high as or even exceeding 500ppm. Recycling this phosphorus-laden stream serves to limit the capacity and effectiveness of any bio-P process, yet it also yields a single, concentrated point or “reserve” from which phosphorus can be mined, recovered, and even re-used beneficially. While academics and scientists have studied, debated, and preached about nutrient (and specifically phosphorus) recovery from waste streams for many years, putting the concept to practice is a relatively recent phenomenon. There are several new technologies on the market today that can assist a treatment facility in removing and recovering phosphorus from its waste streams, but one emerging technology that has proved particularly effective at recovering phosphorus from side streams or recycle flows is Quick Wash® – a concept originally developed by the USDA and commercialized by Renewable Nutrients. Quick Wash is versatile enough that it can recover phosphorus from both liquid and solid streams, but given a bio-P operation (also sometimes referred to as Enhanced Biological Phosphorus Removal – EBPR), one area in particular where it can be effectively deployed is downstream of dewatering to treat the liquid side stream (or recycle stream). 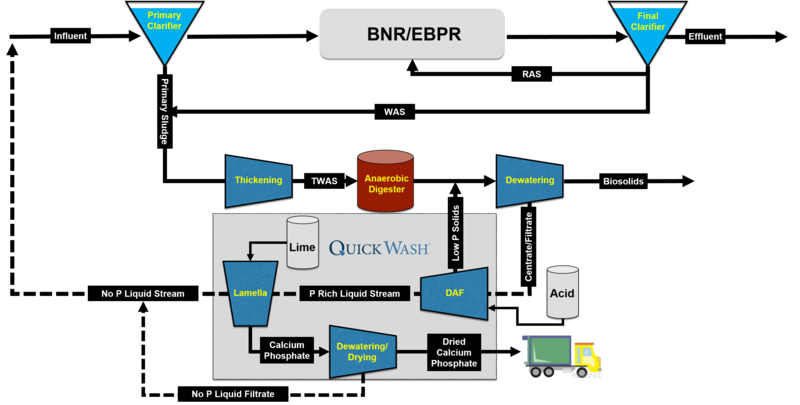 In the illustration above, the Quick Wash system receives the recycle flow and extracts nearly all of the phosphorus that is not already in solution. The system then precipitates out the phosphorus by introducing lime and forming calcium phosphate. The calcium phosphate is filtered using a liquid/solid separation apparatus and can be used beneficially as a phosphate fertilizer, an animal feed additive, or as a supply of raw material where calcium and phosphorus are required. The final liquid effluent from the Quick Wash system is routed back to the facility head works as a clean, very low-P or even no-P stream. So Quick Wash not only recovers phosphorus and produces a valuable byproduct, but it eliminates the recycle flow of phosphorus and yields greater capacity and efficiency in a bio-P operation. This increased capacity gives a facility the flexibility to increase its incoming waste stream flow without the addition of major infrastructure upgrades. Renewable Nutrients is a private, North Carolina-based company that turns waste into sustainable and profitable resources. Through its patented Quick Wash® system, Renewable Nutrients enables waste treatment facilities and animal feeding operations to extract and recover phosphorus from biosolids and manure. The remaining biosolids or manure, which contain crop-friendly ratios of nitrogen-to-phosphorus, can be land-applied, thus minimizing the amount of waste trucked to disposal sites, and reducing or even eliminating the incidence of nutrient pollution from soil runoff. In addition, municipalities and farms can sell the recovered phosphorus on the open market, and engage in the trading or marketing of nutrient credits. Phosphorus Extraction from Wastes: The Key to Phosphorus Problems? 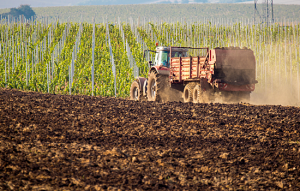 By Nick Reckinger of FEECO International, Inc.
As one of the key nutrients in growth, phosphorus is critical to maintaining food security and life on Earth. This has scientists worried over the dwindling mineralogical reserves from which we mine this valuable nutrient source. Interestingly, the world faces a problem of too much phosphorus in other areas; excess phosphorus from nutrient runoff is contaminating waterways and causing toxic algal blooms and dead zones throughout the world. As the world looks to feed a growing population, demand for this life-giving nutrient is not likely to waver. This has many looking at the opportunity to use this resource in a more sustainable way. Processing of organic wastes can help alleviate pressure on finite resources while diverting phosphorus from waste as runoff back into the soil where it belongs. Organic wastes are a renewable resource, so it’s easy to see why the potential to derive even a small portion of our phosphorus requirements from this growing category of wastes is so attractive. One recent study looked at three primary phosphorus waste streams (human food waste, human excreta, and animal manure) and concluded that it would take only 37% of the phosphorus available in these existing waste streams to support the yearly U.S. corn crop’s phosphorus requirements. Recycling phosphorus from organic wastes would not only provide the world with a much needed renewable source of phosphorus, but it would also help to mitigate the environmental problems that result from phosphorus runoff. Dead zones, or hypoxic areas that kill off fish and other organisms in waterways as a result of insufficient oxygen, have largely been blamed on nutrient runoff, with agriculture being a major contributing source. Although restoration is an option, it is costly, making the prevention of dead zones much more feasible. And while there are many contributing factors to runoff (proximity to waterways, soil type, distance to bedrock, etc. ), minimizing the potential for runoff to occur through proper fertilizing techniques and nutrient management best practices will likely be a primary endeavor in protecting waterways. Two materials in particular have seen a surge of interest for their nutrient recovery and reuse potential: biosolids and manure. Biosolids, also commonly called wastewater treatment sludge, are the materials left over from the wastewater treatment process. While various methods exist for the disposal of biosolids, disposal methods such as landfilling or incineration usually disregard the valuable nutrient content that biosolids hold. Additionally, disposal is increasingly being seen as unsustainable from a long-term perspective. And with increasing regulation around land application, municipalities are in need of a workable solution. Similarly, regulation around the land application of manure has also been increasing, putting a growing strain on farms dealing with the massive amounts of manure produced by the agricultural norm of large-scale farming operations. Farms are also limited in the distance they can haul their manure to land apply it, due to its high moisture content, which makes transportation a costly expense. Simultaneously, farms are purchasing chemical fertilizers to provide much of their nutrient needs, while the value of the manure they land apply is not often fully realized due to runoff, resulting in an inefficient imbalance of nutrient resources for crop production. Granulation: Key to Recycling Phosphorus? Phosphorus recovery from organic wastes is still in its infancy as an industry, with much research under way, and still more to be done. As a fertilizer industry veteran, we have been among those on the forefront of this issue, having developed process solutions and systems around nutrient recovery from organic wastes for decades. We use our expertise in granulation to transform difficult to handle, moisture-laden materials into a dry, premium-grade granular product that exceeds the EPA’s 503 regulations for a Class A Biosolid. This, in combination with significantly reduced odor, eases many of the issues surrounding land application. In addition to these benefits and reduced transportation costs, there is ample opportunity for customized formulations and nutrient blends through granulation. As such, granulation can serve as a means to producing a marketable product that can supplement the purchase of additional nutrients for both municipalities and large-scale farms, all while reducing waste management costs. While granulation offers many benefits to the farmer and/or municipality, the granulation of organic wastes into fertilizer or soil amendment products ultimately aids in the runoff prevention effort; because granulation produces a dry product, there is less potential for runoff to occur. Unlike the moisture-rich raw materials, a dry product does not add moisture to the soil, which can increase the likelihood of runoff occurring. Furthermore, a granular product makes following a nutrient management program much easier and more efficient. The N:P ratio is often imbalanced as a result of fertilizing to meet nitrogen demands and inadvertently over-applying phosphorus. Granular products allow the N:P ratio to be carefully controlled to suit the nutrient profile of the land where it will be applied, significantly reducing the opportunity for runoff to occur. Granules also allow for easier and more accurate dispensing; soil receives only what it needs, further reducing the chance for excess phosphorus to leach from the soil. The granulation process is different from one source material to the next, with necessary pre-conditioning methods also differing. However, in general, granulation works by taking the nutrient-rich cake left over from the digestion process (or the wastewater treatment sludge remaining after the water treatment process), and mixing it in a pug mill. Additives and/or nutrients can be included here to customize the formulation. The pug mill thoroughly mixes the feed materials (along with process recycle) to form agglomerates. These granules are then dried in a rotary dryer, where the tumbling action further rounds them. A cooling step reduces the temperature of the product, yielding a product that will hold up to handling and storage, but still deliver nutrients in a timely manner upon application. As each source material differs in how it will respond to granulation, pilot testing is required to work out process variables and scale up the process to full-scale production. Phosphorus is an invaluable nutrient to life on Earth. Maximizing available resources, while taking the pressure off of finite phosphate reserves is essential for long-term, sustainable phosphorus management. Considering that renewable phosphorus resources in the form of manure and biosolids are often going to waste and even contributing to environmental issues, the potential these organic wastes hold to meet sustainable phosphorus goals is an incredibly valuable opportunity. FEECO provides feasibility testing, process and product design, and custom processing equipment for organic waste materials, including biosolids and manure. 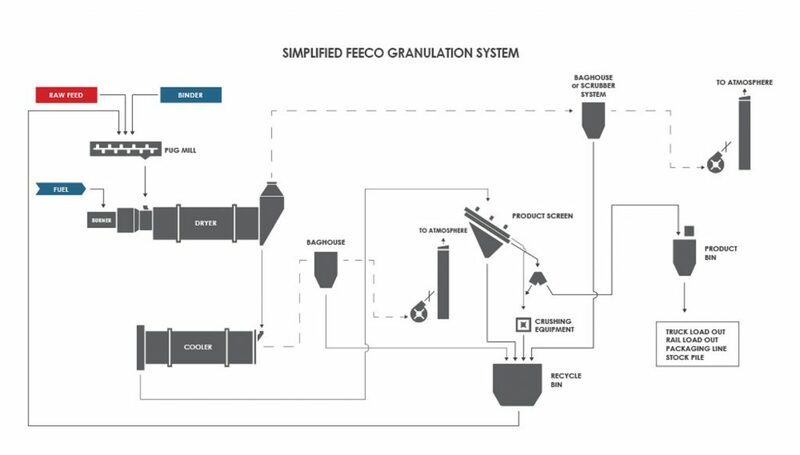 From idea, to complete process solution and custom equipment, FEECO offers capabilities in transforming organic wastes into value-added, marketable products. FEECO is based out of Green Bay, WI. In addition to their custom process equipment and systems, they offer a unique testing facility where they can conduct both batch and continuous, pilot-scale tests to simulate commercial production conditions. What is the potential for reclaiming the phosphorus present in human urine for agricultural use? World-wide there are a number of projects exploring this question, but few in the United States. A small-scale but exciting example is the Rich Earth Institute’s Urine Nutrient Reclamation Project (UNRP) in Brattleboro Vermont. Since 2012, Rich Earth has been collecting urine from 150 – 200 households in the community, transporting and sanitizing it, and using it as fertilizer on test fields of hay and vegetables. Rich Earth currently invites participants to save urine at home and bring it to a central depot. The long-term goal, however, is to support the wide-spread use of simple toilets and storage systems that can divert urine from aging sewage, storm water and water treatment systems, many of which are underperforming in cases of extreme weather events and changes in water cycles due to climate change. Urine accounts for roughly three-quarters of the nitrogen and roughly half of the phosphorus in municipal waste streams. Research Director Abe Noe-Hays estimates that one thousand gallons of urine contains the equivalent of 109 pounds of urea, 13 pounds of triple superphosphate, and 29 pounds of muriate of potash (KCl), as well as smaller amounts of calcium, magnesium, sulfur and micronutrients Therefore, substituting urine for chemical fertilizers can be an appealing prospect depending on the nutrient needs of specific crops and the nutrient status of soils. Rich Earth’s field tests on hay over several years have shown equivalent yields between urine-fertilized and chemically-fertilized test plots, both significantly higher than unfertilized plots. Forage quality remained high, and one farmer has been able to achieve a solid second cutting of hay where previously yields were not sufficient to warrant a second cutting. Farmers participating in the project have had good results applying the sanitized urine to hayfields without dilution; one of Rich Earth’s goals is to develop a concentrated product that can be applied directly to reduce labor requirements. While it is likely the nitrogen rather than the phosphorus from urine is what has been the most significant nutrient in these Vermont test fields (because the soils were not deficient in phosphorus at the start), these experiments are an important model for the potential of recycling human waste for fertilizer world-wide. Among hay and vegetable farmers in New England that Rich Earth has surveyed, interest in the potential of a urine-derived fertilizer is high, although farmers are cautious. Respondents wrote, for example, “I think it is a great way to start closing the nutrient cycle – counting humans as part of the whole environmental web,” and “Could be a silver bullet; cost effective, renewable, recycling,” and “It’s about time we started using this valuable nutrient in the field instead of allowing it to contaminate drinking water by flushing it down the toilet.” Research suggests that farmers who currently practice organic or ecological methods may be more open to using urine than conventional farmers, but they may also have more concerns about potential contaminants in the urine including their impact on the health of soil biota. Not surprisingly, many also express concerns about how their customers may respond to the use of urine-derived fertilizers on their crops. Rich Earth’s research aims to respond to some of these concerns. The organization will assess farmer interest and technical needs with regard to using these fertilizers on animal feed and fiber crops, perennial crops (such as fruit trees), ornamentals and other non-edible and edible crops. Testing indicates that heavy metal levels are extremely low – on average a thousand times below accepted risk levels. 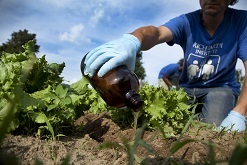 And although fiber, biomass, and animal feed crops could utilize all urine-derived fertilizer for the foreseeable future, Rich Earth has conducted field studies with lettuce and carrots to examine the fate of pharmaceuticals as well as biological components (viruses and bacteria) when urine-derived fertilizers are used for growing edible crops. Final results from this research have not yet been published, but the data so far indicate that while trace levels of pharmaceuticals could be detected in both lettuce and carrot tissue, the levels were very low. As Noe-Hays puts it, “a person would have to eat a salad from the study plot every day for two thousand years to get a single dose of acetaminophen (Tylenol).” With regard to bacteria and viruses, this research is ongoing, but current standards specify that urine can be effectively sanitized by pasteurization or by storing it from one to six months before using. Rich Earth’s ongoing research will help to better understand what happens under different storage and treatment practices. Of course there are no “weird jugs” when simple urine-diverting toilets are employed. Rich Earth is working towards more wide-spread use of these systems for source-separation and nutrient reclamation from urine, including addressing regulatory issues. Until now, human waste has been seen by regulatory agencies as something to be “disposed of” so as to protect public health. But Rich Earth sees urine is a resource. Rather than needing to be “disposed of,” it should be collected and made use of as a “value-added” product. The organization currently has a permit for a mobile-pasteurizing unit through the Vermont Agency of Natural Resources’ Watershed Management Division. This has allowed local regulators to become comfortable with the concept of recycling urine for fertilizer. Using this permit, Rich Earth has developed the tools and equipment needed for larger scale processing of urine. Ongoing research, now funded with a four-year grant through the National Science Foundation, will allow the organization to learn more about what regulators need to know and how best to communicate with them so that regulations can be written that will protect human health and the environment by keeping urine out of the waste stream and returning it to the soil. Step by step, community by community, it will then become possible to close the loop and recycle the abundant nutrients, such as phosphorus, that we so generously expel in liquid form every single day. After a summer of media filled with stories of algal blooms wreaking havoc on our waterways, the challenge of phosphorus pollution can seem overwhelming. But there is good news. I’ve had the privilege over the past several months to speak with many people at the forefront of addressing the phosphorus challenge. I’ve spoken with our international network of scientists whose analyses point the way towards better phosphorus management practices; with entrepreneurs who have developed technologies for phosphorus recovery and recycling; with NGOs who are raising public awareness and putting pressure on regulators to act; with farm groups who want to be good stewards and reduce their footprints; and with regulators who want to craft enlightened policy. The good news is that there is no shortage of goodwill and brain power available, and you’ll be hearing from some of those altruistic intelligentsia right here on this blog. We’ll promote their contributions in our quarterly newsletter, our twitter feed, and our LinkedIn page, so please keep an eye out. There’s strong appetite for cross-sector knowledge sharing and the development holistic approaches to dealing with phosphorus pollution. People tend to work in silos, but recognize that problems are common. Some of the same issues and uncertainties are being faced at municipal wastewater facilities that are being faced at manure lagoons. How do we make phosphorus recovery economically viable? What are the regulatory constraints on safe secondary phosphorus use? There’s also an expressed need for networking opportunities to connect organizations across the value chain and build trust. That’s why we are developing a technical webinar series and hosting our Phosphorus Forum 2017 event on May 19 in D.C. Animal waste management is the low-hanging fruit, diffuse phosphorus is the high-hanging fruit. Agriculture is the biggest user of phosphorus and the biggest generator of phosphorus pollution. Practices such as 4R nutrient stewardship can help mitigate phosphorus misapplication issues, but how do we manage phosphorus after use? Technologies for extracting or otherwise utilizing phosphorus from animal wastes are commercialized, but those for handling diffuse phosphorus from run-off—not so much. If we want to tackle phosphorus pollution expediently, we probably need to concentrate now on enabling practices and technologies for phosphorus recovery from animal wastes and wait for diffuse phosphorus management technologies/practices to catch up. In the long term, though, comprehensive approaches are needed. There’s real value in having the strong academic network we’ve inherited from the Alliance’s five-year-old progenitor, the NSF’s Phosphorus Sustainability Research Coordination Network (P-RCN). Industry likes to incubate and vet ideas in the academy, where risk is low, and there is great expertise and passion among academics, some of whom have been working on these issues for decades. We’re going to fan these flames as much as possible, including making the Phosphorus Forum 2017 event a joint meeting of the P-RCN and the Alliance. The Europeans are way ahead of us. Luckily, we have friends in Europe who’ve cleared a path forward for us, particularly at the European Sustainable Phosphorus Platform. While our own focus will be on North America, the phosphorus challenge is global, and we will need to coordinate with efforts such as theirs. We get to peer into our own future by looking at their present. We’re looking forward to working with you on these critical issues and hope your organization will help us build this network by becoming a member.